The Twilighter has the classic American clean sound powered by a GZ34 and a pair of 6V6’s for a conservatively rated 22 watts. 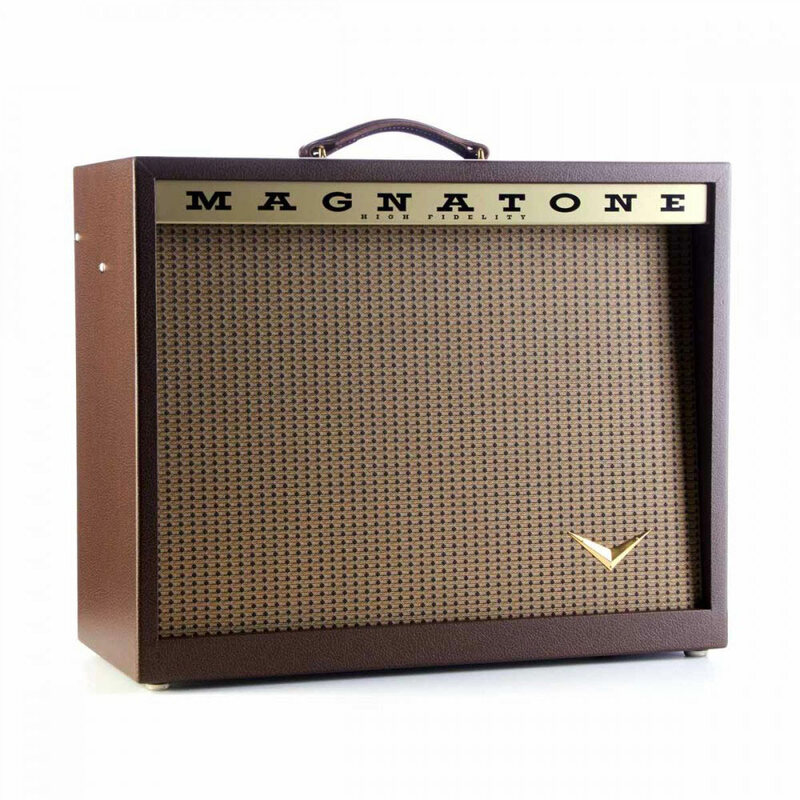 Extensive RD development with the original varistor vibrato for the classic Magnatone pitch shifting vibrato effect. This amp is a must have for any collector or musician! The best sounding single-12 speaker amp on the market. Magnatone pitch-shifting vibrato for True Dimensional Sound®. Never before has this effect been recreated in its original form. Classic American sound has been updated and brought into the 21st century. Vibrato and tremolo are both available via the FM/AM switch. This is electronic Americana that oozes classic tone, a true tribute to the ancestor – with power! Vibrato: True Pitch Shifting Varistor Vibrato. Single Stage. Switchable to conventional tremolo.